All rates are per night and include Breakfast. 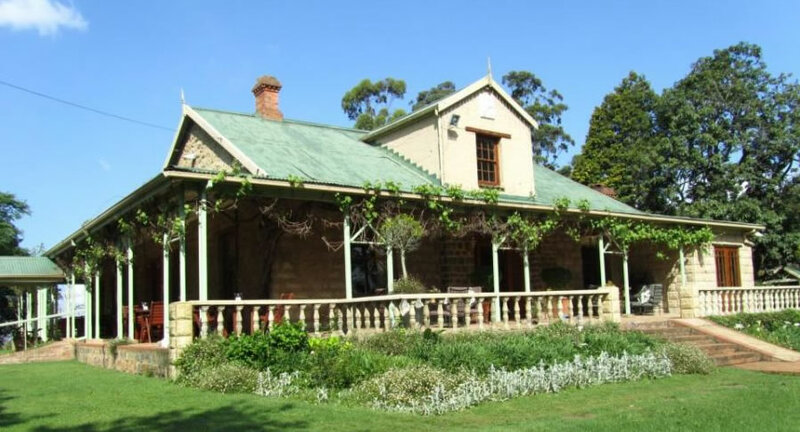 We can take a total of 34 Guests, although more can be added as all of our rooms are big enough to take an extra mattresses – the cost is R260.00 per mattress and includes Breakfast. 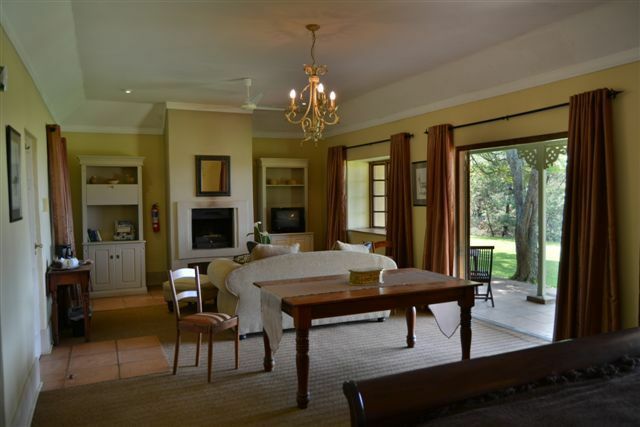 Each room offers exceptional space and comfort, expected when in the country. An in room open fireplace with complimentary firewood, ensures a perfect setting and mood. We offer tea and coffee making facilities as well as open view HDTV. 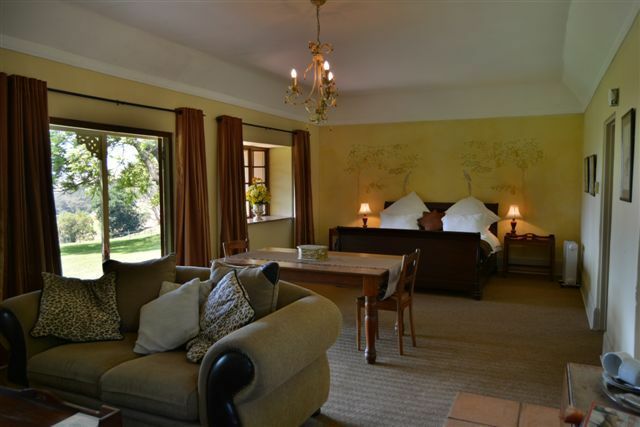 Some with King size beds some with two single beds all with en-suite bathrooms. 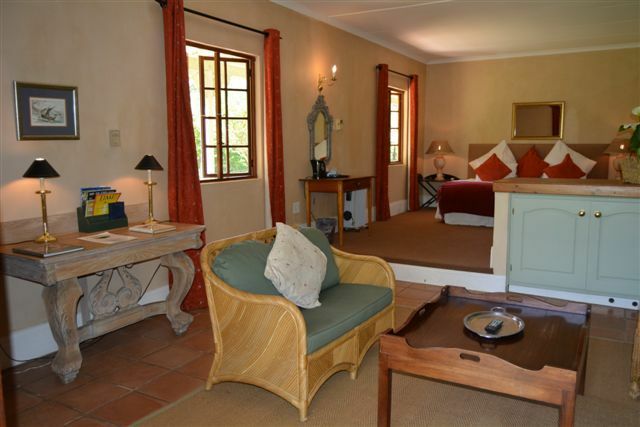 Has a King Sized bed in one room and two single beds in the other room, each with their own en-suite bathroom. 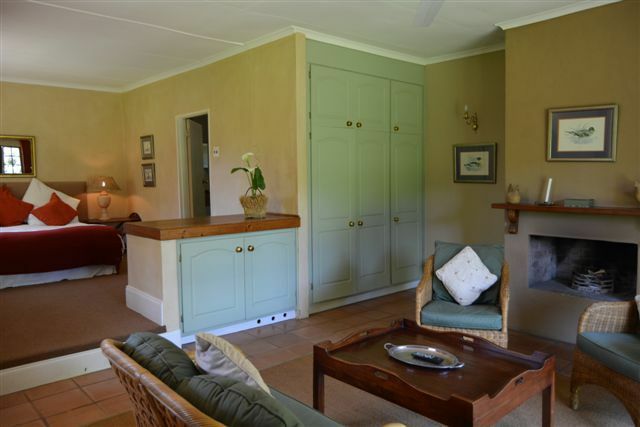 Open plan L shaped family room with two single beds and a double bed, en-suite bathroom with a bath and shower, does not have a fire place and has a private courtyard.